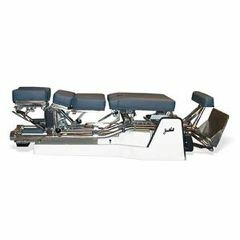 This Zenith HyLo table incorporates both terminal point and cervical and pelvic drops to provide value with versatility for a wide range of techniques. You'll feel the difference, and your patients will request the Zenith Hylo for their next treatment. Cushion width: 18" or 24"